Being a non-strategic division of a larger organization can be difficult. A company’s success hinges on its leadership’s grasp of the industry within which it operates, the support of its parent organization and strategic alignment. Without these, a company can never fully live up to its potential. That’s exactly what happened to IT solutions provider G.1440 when it was acquired by Sinclair Broadcast Group, the owner of nearly 60 television stations across the United States. As a television-based company, Sinclair had nothing to offer in the way of expertise that could help G.1440 move ahead with its business plans. So, to increase the chance of success and allow the parent to focus on its core business, G.1440 teamed up with Perseus, an operating group of Constellation Software Inc., and started realizing its long-held dreams. Founded in 1998, G.1440 is an IT leader in the Baltimore / Washington region specializing in custom software, web design, web marketing and tech staffing. 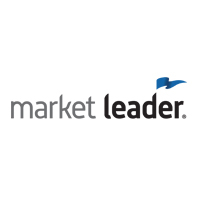 G.1440’s subsidiary, Builder1440, focuses on sales automation and customer relationship management (CRM) software solutions for residential homebuilders. Its core offering is a system called Sales1440, which allows employees to easily oversee the entire sales process from start to finish. This includes tracking new leads, automating sales follow-ups, generating dynamic sales contracts as well as managing lots, floor plans and options selections. G.1440 wanted to join an established software market leader that would help it become more stable as well as support its plans and growth aspirations – but not at the expense of its staff, processes or stability. 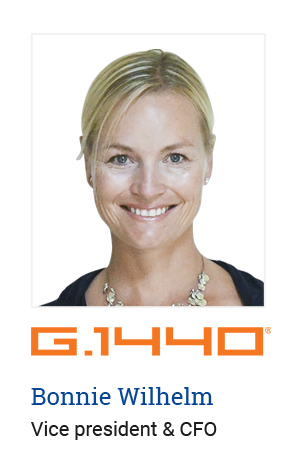 G.1440 chose to team up with Perseus because of its commitment to helping software companies live up to their potential – and a proven track record of success involving more than 30 acquisitions across 10 vertical markets. To ensure G.1440 was off to a good start, Perseus Operating Group President Dexter Salna leveraged his extensive knowledge of the software industry and experience with Perseus’ previous acquisitions to help the IT solutions provider build a solid framework for sustainable business growth. One of Salna’s biggest contributions was establishing strong metrics to properly measure every aspect of the business, including employee performance, which allowed the organization to quickly discover its blind spots and become much more results-oriented. Despite these additions, Perseus has made sure that G.1440 could retain its core identity and freedom to make its own decisions – by keeping its staff, processes and solutions largely the same. By teaming up with Perseus, G.1440 was able to access the advantages that many other software companies don’t have – all of which have contributed to its growth. In the meantime, Sinclair could focus on its core business – television. Recurring revenue model. By focusing on customer retention, G.1440 was able to establish a predictable revenue stream, which allowed it to plan budgets and build forecasts more effectively. Historical data. Knowing what has worked and hasn’t worked for other software companies has given G.1440 the confidence to try new initiatives – most of which have been very successful. Knowledge sharing. With so many businesses within Perseus, G.1440 was able to connect with other successful software companies and learn their best practices. Consistent bonuses. While Sinclair’s bonuses and salaries were of a considerable size, bonuses were rarely paid out. With Perseus, G.1440 employees were able to keep the same salaries and receive their bonuses more consistently. Career mobility. By consistently adding new businesses to its roster, Perseus has allowed G.1440’s employees to easily move to other companies without losing the benefits of the operating group. Now that G.1440 has found the stability it needed to thrive in the software market, it can start pursuing its growth goals and potentially even absorb its competitors.